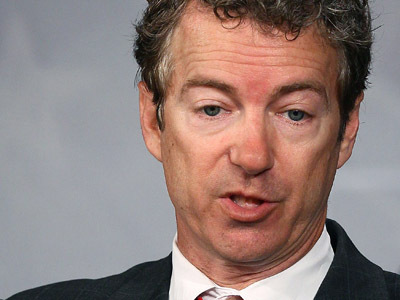 Senator Rand Paul (R-Kentucky) says he isn’t ruling out the possibility of running for president in 2016. The son of former GOP presidential hopeful Rep. Ron Paul (R-Texas), junior senator spoke with ABC News this week and admitted that he’s not necessarily against the idea of vying for the Oval Office during the next election cycle. Before things get too heavy, though, Sen. Paul says the Republican Party has a few problems they’ll need to take care of. "I'm not going to deny that I'm interested," Sen. Paul tells ABC's Jonathan Karl this week, but not before admitting that the GOP could use a little restructuring before he steps up to the plate. "I think we have to go a different direction because we're just not winning and we have to think about some different ideas," says the senator, adding that the rest of his party needs to be more welcoming to new ideas before he aligns himself to a presidential bid. "We're getting an ever dwindling percent of the Hispanic vote," Paul says. "We have to let people know, Hispanics in particular, we're not putting you on a bus and shipping you home." Echoing his father’s routine demands to end the federal war on drugs, Sen. Paul also says to Karl that the Republican Party and the rest of the country needs to catch up with the states of Colorado and Washington, where just this month it became legal to possess small amounts of marijuana. 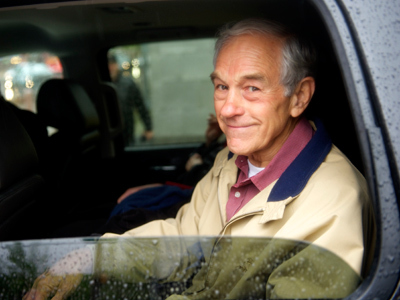 "I think for example we should tell young people, 'I'm not in favor of you smoking pot, but if you get caught smoking pot, I don't want to put you in jail for 20 years,'" Paul says. 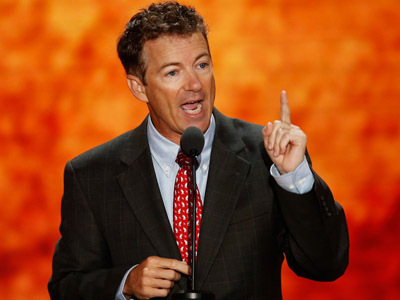 Unlike his father, however, Sen. Paul suggests that he is more willing to continue funding the military industrial complex as president, as long as the rest of his party is aware that the Pentagon shouldn’t be the top priority. "How about another compromise?" Paul tells ABC. "Republicans who think military spending, myself, who think national defense is important, should compromise and say, you know what, not every dollar spent on the military's sacred, we can reduce the military spending, that's a compromise. Democrats should compromise also – entitlements and welfare, the spending can come." Earlier this month, Sen. Paul single-handedly put a hold on an annual DoD spending bill — the National Defense Authorization Act, or NDAA — because he wants to assure Americans that they will receive a fair trial if they are swept up by authorities under the guise of being suspected terrorists. 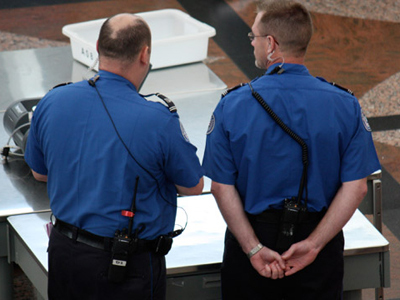 The NDAA for fiscal year 2012 includes a provision that prevents the indefinite detention of US citizens without charge on the basis that it is necessary for the country’s counterterrorism efforts. 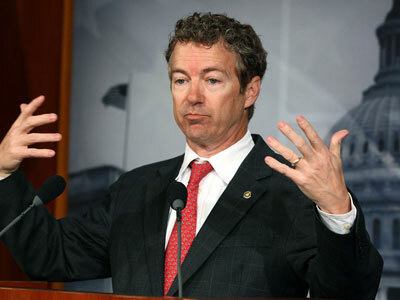 Sen. Paul is insisting on having Congress vote on an amendment that will make sure every American “shall enjoy the right to a speedy and public trial, by an impartial jury of the State and district wherein the crime shall have been committed,” despite the earlier NDAA clause that allows for anyone would to be locked up and held until a vaguely defined “end of hostilities” without trial. 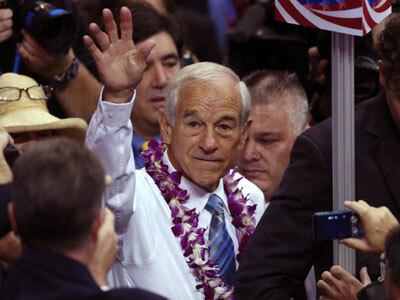 Rep. Ron Paul was also adamant about abolishing the NDAA provision that provides the president with the power to indefinitely detain Americans, and emphasized a necessary for reform during his unsuccessful bid for the White House in 2012.